[PDF] Environmental Hydrology, Second Edition | Free eBooks Download - EBOOKEE! Description: The technological advances of recent years include the emergence of new remote sensing and geographic information systems that are invaluable for the study of wetlands, agricultural land, and land use change. Students, hydrologists, and environmental engineers are searching for a comprehensive hydrogeologic overview that supplements information on hydrologic processes with data on these new information technology tools. 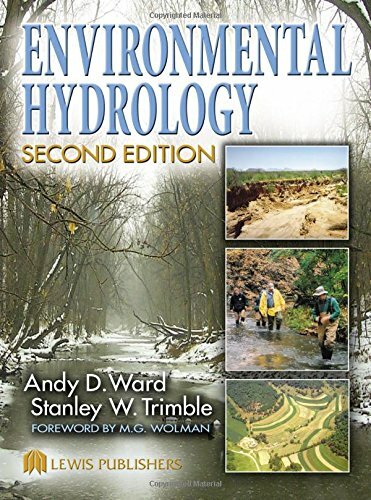 Environmental Hydrology, Second Edition builds upon the foundation of the bestselling first edition by providing a qualitative understanding of hydrologic processes while introducing new methods for quantifying hydrologic parameters and processes. Written by authors with extensive multidisciplinary experience, the text first discusses the components of the hydrologic cycle, then follows with chapters on precipitation, stream processes, human impacts, new information system applications, and numerous other methods and strategies. By updating this thorough text with the newest analytical tools and measurement methodologies in the field, the authors provide an ideal reference for students and professionals in environmental science, hydrology, soil science, geology, ecological engineering, and countless other environmental fields. No comments for "[PDF] Environmental Hydrology, Second Edition".